Articles about dynamic nuclear polarization enhanced NMR spectroscopy (DNP-NMR) and related terahertz technology. Brought to you by Bridge12. Hovav, Y., et al., Theoretical Aspects of Dynamic Nuclear Polarization in the Solid State: The Influence of High Radical Concentrations on the Solid Effect and Cross Effect Mechanisms. Appl. Magn. Reson., 2012: p. 1-21. Dynamic nuclear polarization (DNP) is used to enhance signals in NMR and MRI experiments. During these experiments microwave (MW) irradiation mediates transfer of spin polarization from unpaired electrons to their neighboring nuclei. Solid state DNP is typically applied to samples containing high concentrations (i.e. 10–40 mM) of stable radicals that are dissolved in glass forming solvents together with molecules of interest. Three DNP mechanisms can be responsible for enhancing the NMR signals: the solid effect (SE), the cross effect (CE), and thermal mixing (TM). Recently, numerical simulations were performed to describe the SE and CE mechanisms in model systems composed of several nuclei and one or two electrons. It was shown that the presence of core nuclei, close to DNP active electrons, can result in a decrease of the nuclear polarization, due to broadening of the double quantum (DQ) and zero quantum (ZQ) spectra. In this publication we consider samples with high radical concentrations, exhibiting broad inhomogeneous EPR line-shapes and slow electron cross-relaxation rates, where the TM mechanism is not the main source for the signal enhancements. In this case most of the electrons in the sample are not affected by the MW field applied at a discrete frequency. Numerical simulations are performed on spin systems composed of several electrons and nuclei in an effort to examine the role of the DNP inactive electrons. Here we show that these electrons also broaden the DQ and ZQ spectra, but that they hardly cause any loss to the DNP enhanced nuclear polarization due to their spin-lattice relaxation mechanism. Their presence can also prevent some of the polarization losses due to the core nuclei. 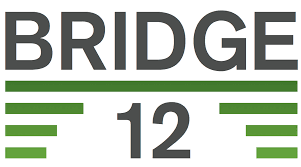 Copyright © Bridge12 Technologies, Inc.